This is a restaurant that has taken over from Brixton Space that closed some time ago – see link. This corner of Tulse Hill is getting a lot more attention with not one but two restaurants opening recently. Their next door neighbour, Naughty Piglets (see link), is getting a lot more attention. But this is a Jamaican/West Indian restaurant which describes itself as a sister company of Negril on Brixton Hill (see link) which is a long time favourite of ours. It concentrates on takeaway but also offers sit down meals. We have tried to go before but we couldn’t find their phone number and they say in one place that they have no booking service. Although all information on the web refers to opening times being from 6.oopm Tuesday to Sunday they weren’t open when we arrived at 7.10pm on a Tuesday. But we persisted and on a second try we were lucky. 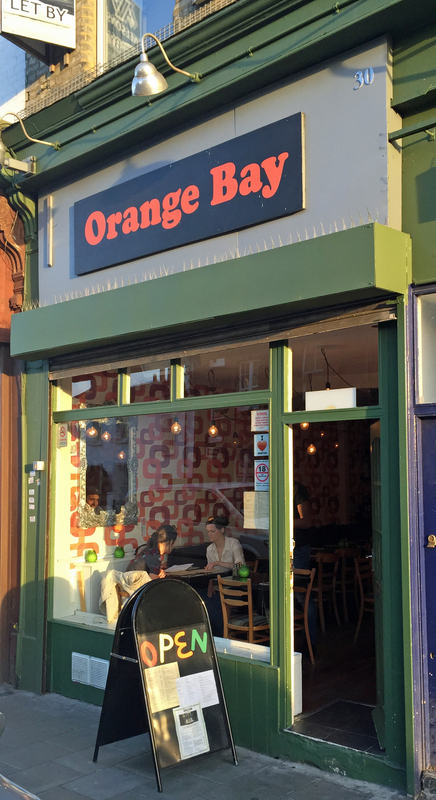 The décor, much of which is carried over from Brixton Space, is 60s retro with metal chairs and a banquette with cushions and metal tables that wobble unless you spend some time propping them up with napkins. The service is assiduous and we were warned about the fire sauce. We ordered the pumpkin curry, half a jerk chicken, rice and peas, rice and gunjo and coleslaw (both the last two came with the chicken) and a Carib and Red Stripe beer to wash it all down. They also provided tap water. 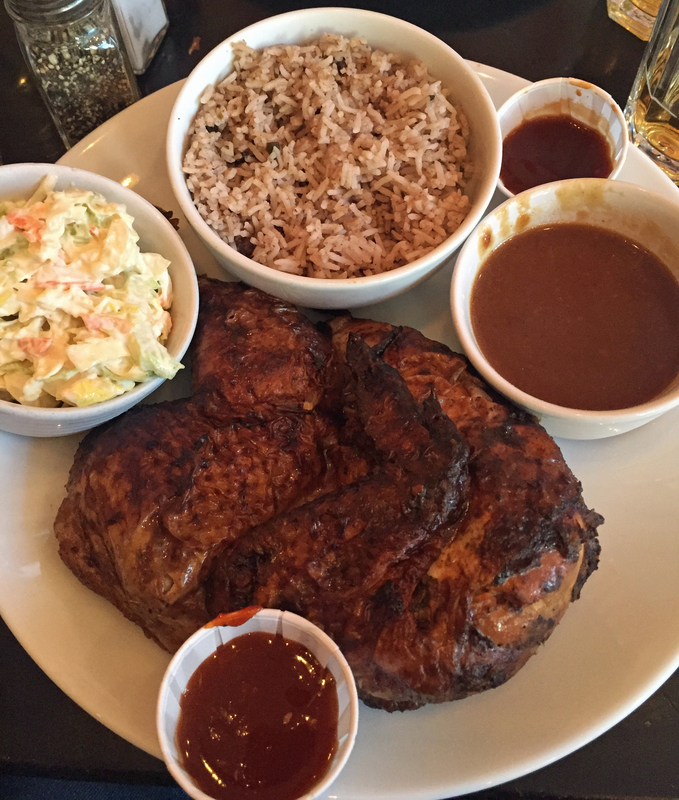 The half a chicken was way too much – a quarter would be ample for a normal appetite. It comes with a variety of sauces, barbecue, jerk and “fire”in increasing levels of heat and they are not exaggerating about the fire. We were glad of the tap water. In contrast the pumpkin was mild and as tasty as pumpkin curry can be. But the favourite was the rice which has spices as well as peas and was really lovely to eat until the fire sauce anesthetised my palate. This is a very friendly place to eat and we could have lingered for longer but thought we should get home for the next heat of Masterchef. The whole bill came to £32.60 which was good value as we left very full.